Design: Joel Yatscoff. 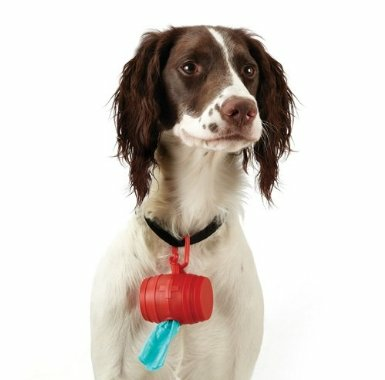 Pet waste bag holder with clip. Includes one roll of 40 bags. 2 1/4 dia x 2 3/4 inches.